If purchasing online, an updated quote based on all items in your basket will be available at checkout. The option to pay by finance will be available* as a payment method during the secure checkout process. *Credit subject to status and affordability. Terms & Conditions Apply. Sevenoaks Sound & Vision are a credit broker and are Authorised and Regulated by the Financial Conduct Authority. Please note the above quotation is an indicative cost and actual monthly payments may vary by +/- 2p per month. Finance options may not be available in all stores, if purchasing instore please contact them for more information. 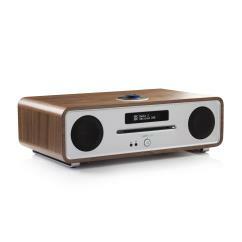 Register your product with Ruark within 28 days of purhcase for a free third year guarantee. To make a claim and for more details, click here. 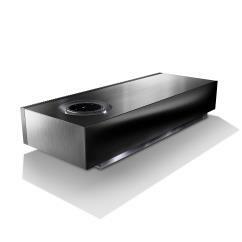 For the finest sound, CD is still one of the best ways to experience music and R5 features a high specification slot loading player that will make your CD collection sound better than ever. Alongside standard CDs, R5 also plays self-made CDs encoded with popular audio formats such as WAV, MP3 and AAC and in addition displays track and artist information when this data is available on the disc.